Through the Design and Management services of InHaus Solutions Ltd, coupled with the Supply and Build expertise of InHaus Contracts Ltd, the InHaus Group offers a truly comprehensive ‘Design and Build’ package. Now based in the picturesque and historic market town of Beverley, East Riding of Yorkshire, the design team at InHaus Solutions Ltd has been providing full Architectural and Interior Design services both locally and nationally since 1993, and have wide ranging skills and experience in DESIGN and MANAGEMENT. 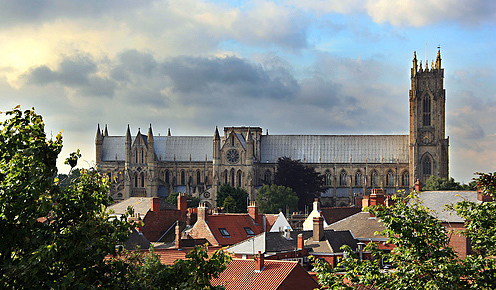 The InHaus Group is based in the picturesque market town of Beverley, famous for its stunning minster. InHaus Contracts Ltd was subsequently set up in 2007, out of a wish to see our design work carried through the contract works and to completion, without loss of integrity or quality in the finished product. Within three years we have already completed 12 major projects with contract works values for BUILD and SUPPLY now totalling in excess of £2,000,000. No small feat for a start-up company in the current economic climate!